All the forms provided on this page are in Adobe Acrobat format. If you don’t have the Acrobat Reader installed on your computer you can obtain it FREE from the Adobe Site. 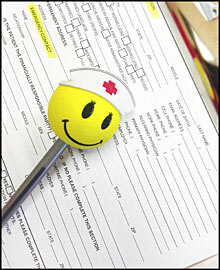 Every new patient must complete the following forms: General information; the appropriate health history (non-accident or accident); and fees, financial and insurance information. Bring the completed paperwork to your initial appointment with Dr. Greenstein.